As people notify us of there intention to propose changes to the ESFS constitution, we will publish them here. Please note that any proposal on this page will still need to be proposed and seconded at the business meeting. The purpose of this page is to help raise awareness of proposals, so that people have time to consider them and their impact. If you wish to propose a change, please contact the ESFS board for assistance in wording of a proposal. 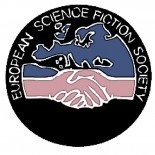 Amendment to the rules related to the selection of host for Eurocon.